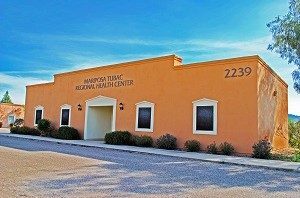 Located on the East Frontage Road in Tubac, Mariposa’s Tubac Regional Health Center opened in March 2016. The clinic has three exam rooms and is staffed by a full-time family nurse practitioner and a family medicine physician on Wednesday afternoons. Additionally, for the convenience of our patients, we make deliveries of prescriptions (during clinic hours) from the Health Center’s full-service pharmacy in Nogales.